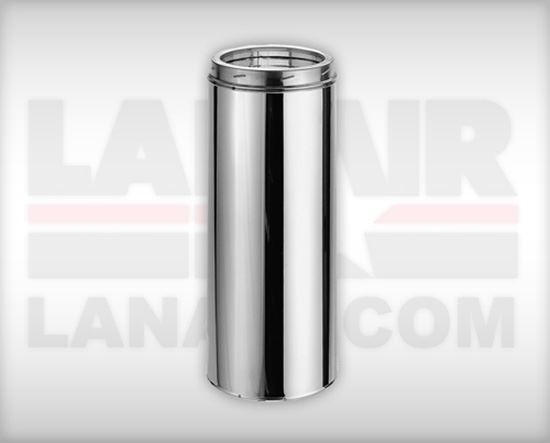 Lanair 4803 Chimney Pipe 24" x 6"
Insulated Chimney 24" L X 6" Dia. With SS inner liner Galvalume outer casing. Comatible with DuraVent brand only. Payment options tailored to your needs. No cash right now? No problem, you may be able to finance. Flexible leasing options allow you to start saving now while you pay for your heater as your income rolls in. Stay up to date on the latest news and waste oil heat technology. We never rent, sell or distribute your email address. Click here to shop Lanair heater package specials! Copyright © 2019 Lanair Products LLC. All rights reserved.